An object was sighted yesterday evening around 20:15 in the Western Cape Area of South Africa. Initial reports speculated the Meteorite crashed down near Hermanus. Several wide-eyed, amateur astronomers have diverted attention towards a NASA warning which was issued on 15 January. On Tuesday, NASA listed a warning on its ‘near-Earth objects’ alert page. The Space Agency warned that three rogue asteroids would passing by earth’s atmosphere this week. The largest of the trio, Asteroid 2019 AG7, which had a diameter of 51 metres, entered the earth’s atmosphere on Wednesday. A meteor, known colloquially as a shooting star or falling star, is the visible passage of a glowing meteoroid, micrometeoroid, comet or asteroid through Earth’s atmosphere, after being heated to incandescence by collisions with air molecules in the upper atmosphere. 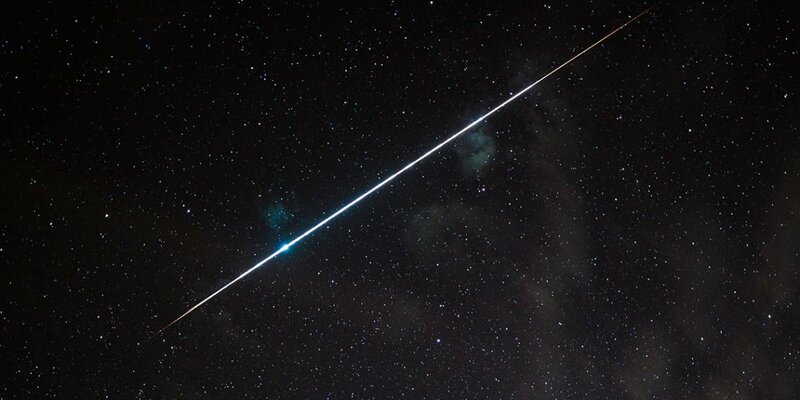 All indications suggest that a meteor (a small rocky or metallic object from space) entered the Earth’s atmosphere above the Western Cape last night around 20h15. A bright light trail could be seen from Malmesbury to Gansbaai in the Overberg. The end point (where it burnt up in the atmosphere) of the meteor was east of Hermanus. More sightings are needed to confirm the exact trajectory. Photos taken of the event show that the meteor broke up into at least two pieces high up in the atmosphere. In all probability it burnt up in the atmosphere as no impact has been confirmed at this stage. “A shock wave or sonic boom was created in front of the meteor while travelling through the atmosphere of the Earth. This phenomenon is observed as a loud bang, and sometimes when the meteor breaks up into smaller pieces, it adds to the loud thunder-like noise,” says Kotze. Meteors in general, depending on their size, start to heat up due to atmospheric resistance and radiate light at an altitude between 50 and 80 km above the surface of the Earth. “We therefore estimate the size of this meteor between 1 and 2 m in diameter which makes it extremely difficult to detect by telescope warning systems,” says Kotze. The South African Astronomical Observatory did not detect the meteor with its telescopes but there was a report from the Pan-STARRS team (the Panoramic Survey Telescope and Rapid Response System located at Haleakala Observatory) in Hawaii, in the US. They have a preliminary report of a close-approaching object but that is not confirmed yet. When a meteoroid, comet, or asteroid enters Earth’s atmosphere at a speed typically in excess of 20 km/s, aerodynamic heating of that object produces a streak of light, both from the glowing object and the trail of glowing particles that it leaves in its wake. This phenomenon is called a meteor if the object burns up in the atmosphere. If that object withstands its passage through the atmosphere as a meteor and impacts the ground, it is then called a meteorite. A series of many meteors appearing seconds or minutes apart and appearing to originate from the same fixed point in the sky is called a meteor shower.